“We Welcome The Pain”, is a compilation of twelve ferocious tracks Downfall 2012 wrote in one week of being completely secluded in their studio. It was produced and recorded by Jim Finley, who traveled to the same studio to capture the songs over the course of six consecutive sixteen-hour recording sessions. Now “We Welcome The Pain” is finally here! Conceptually, the album provides a visceral take on social, political, technological, and religious behaviors of today, focusing on how we, as a society, bring pain upon ourselves, perhaps masochistically, through social media, entertainment, and beyond. The record further relates to this theme via the very manner in which it was written and recorded: with the band being locked up together, creating, at a feverish pace. In addition to all of this, the record title serves as an allegory of the music industry, a brutal, cut-throat, and often painful business, for which artists and fans bleed. 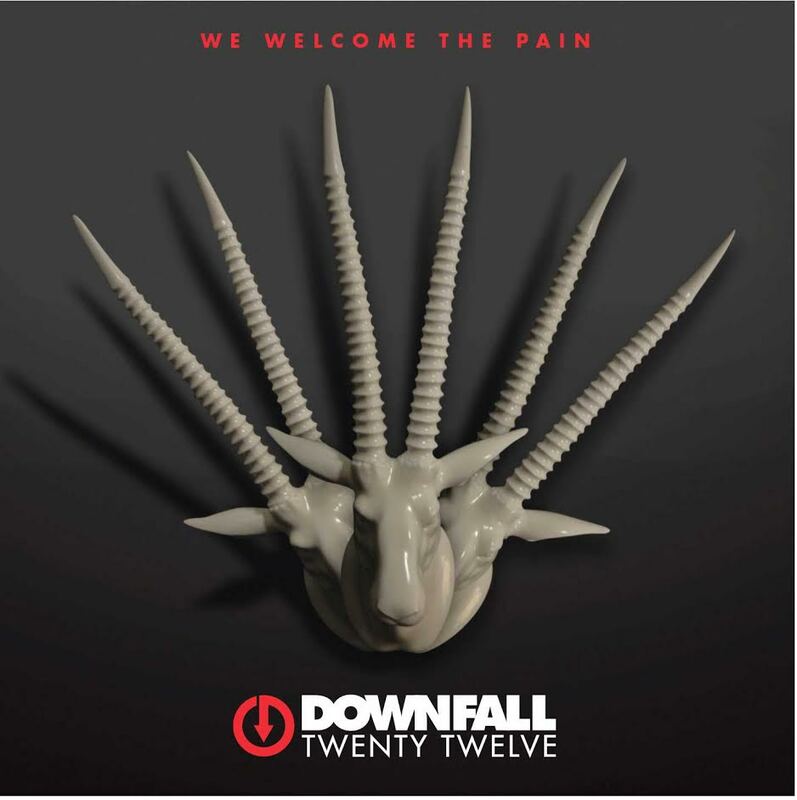 Order “We Welcome The Pain” on iTunes now! “We Welcome The Pain” will be available on iTunes, Spotify, Amazon, Apple Music, etc, and on CD Friday January 25, 2019.